Faith's Temptation. Faith is being pressured 의해 Vamp Buffy. 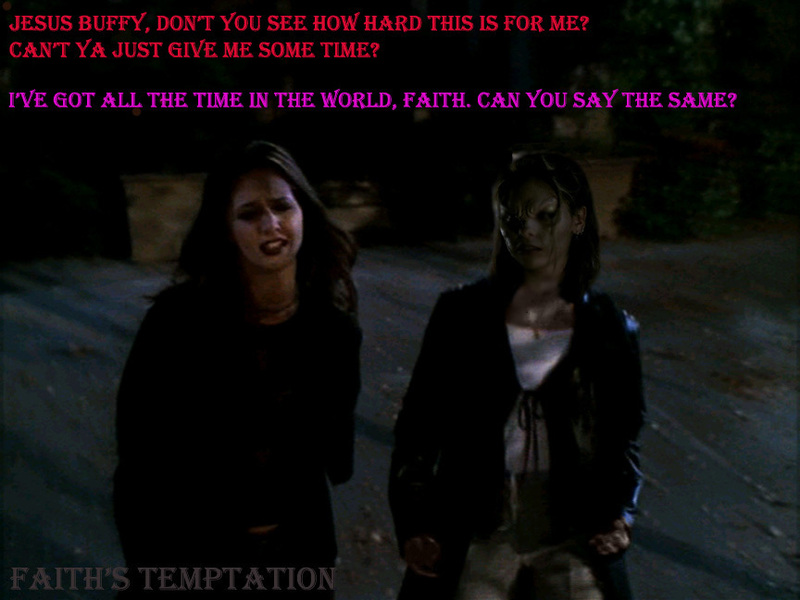 HD Wallpaper and background images in the Buffy vs Faith club tagged: faith buffy slayers. This Buffy vs Faith fan art might contain 잘 입고 사람, 정장, 바지 정장, 잘 차려 입은 사람, 양복, pantsuit, 초상화, 얼굴, 근접 촬영, 얼굴 만, 세로, and 헤드샷. Pressured to do what exactly? Please explain via message.